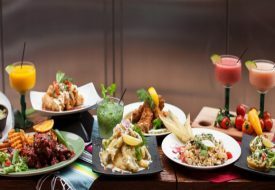 Hwayo’s triple threat: Which will you choose? Considered Korea’s most popular alcoholic beverage, Soju is perhaps the nation’s answer to Russia’s Vodka, Spain’s Sangria or Japan’s Sake. I’ve had my fair share of watermelon soju — a delicious cocktail drink common to Korean BBQ outlets where the distilled beverage is mixed with the flesh of the fruit and served in its hollow. However, I’ve never enjoyed the liquor on its own. 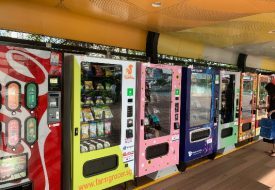 After tasting Hwayo Soju, a premium Korean liquor and one of the latest Korean exports to land in Singapore, I decided that there was no better way to appreciate a soju than to savour it neat. Soju, which literally means “fire alcohol”, is a staple in Korea’s social scene. It was given a boost in recent years after Korean breakout star Psy proclaimed it to be his “best friend”. With shot glasses filled with Hwayo Soju lined up before me, I witnessed first hand what a great party drink it would make. My companions and I took turns downing each shot — in a bid to guess which type of Hwayo Soju it might be, and laughter ensued. 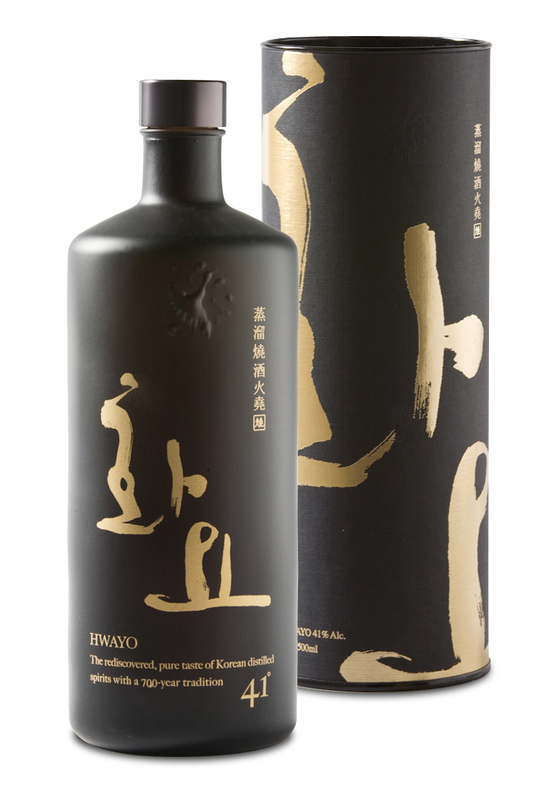 Available in Hwayo 17, Hwayo 25 and Hwayo 41, each number represented the different alcohol volume and had its own distinctly rich yet clean flavour. The Hwayo 17 is the lightest soju in the family, with its crisp and clean flavour profile loved by ladies especially. Mellowed in ongi (hand-made clay vessel) pottery, the result is a blend of soft, fruit flavoured notes and an oak scented finish. 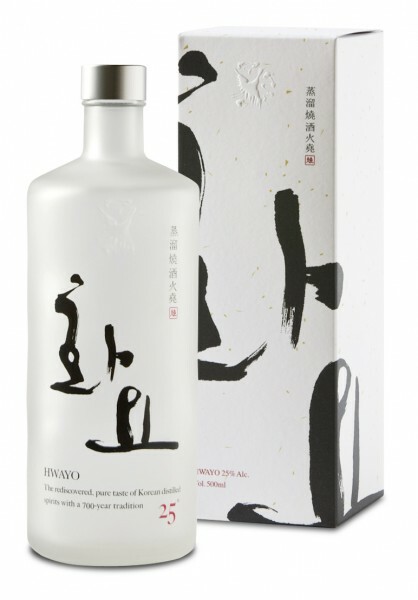 Next, the Hwayo 25 is slightly stronger, with a distinct pure taste from the rice grain it is made from. I particularly liked its balanced flavours, especially when drank neat. When served in the Lullaby Pear cocktail, Hwayo 25 melded beautifully with the refreshing tang of pear cubes, cucumber and fresh lemon juice. Served last, the Hwayo 41 is in a class of its own. With an alcoholic content of 41 per cent, it is meant for the connoisseur who fancies complex and rich flavours. It is best enjoyed on the rocks. 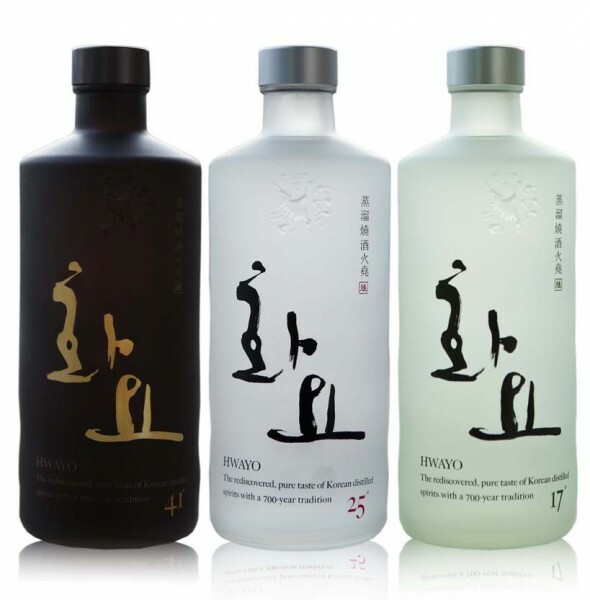 Hwayo’s distinctive flavour is all natural and free from preservatives and additives as it is derived from 100 per cent Korean rice, pure water drawn from 150m below the ground, a single distillation process over very low heat and pressure, and an aging process that takes place in an ongi . My verdict is, don’t just enjoy soju in its cocktail forms — a premium soju like Hwayo’s is worth a (neat) shot. 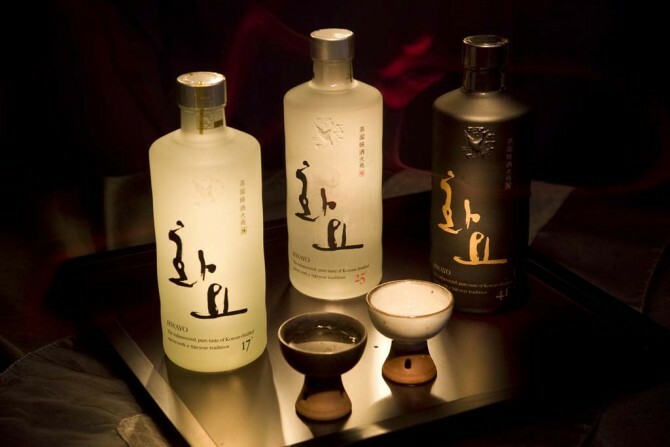 Hwayo Soju is available in Singapore’s select high-end bars, lounges and clubs and retails at $29.90 for Hwayo 17; $45.90 for Hwayo 25; and $79.90 for Hwayo 41.